Fort Benning, Georgia is home more than 120,000 active-duty military, family members, reserve component soldiers, retirees and civilian employees. 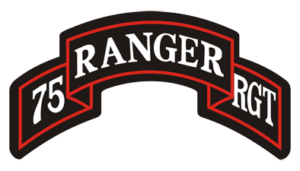 It’s also the permanent military post for the 75th Ranger Regiment, also known as the Army Rangers. Part of the United States Army Special Operations Command (USSCOM), this all-volunteer special operations force is comprised of specially selected and well-trained soldiers that provide the U.S. with a unique range of capabilities and skills set not found in any other special operations or conventional force. Today, members of the 75th Ranger Regiment routinely conduct sustained combat operations with almost every deployed special operations, conventional and coalition force in multiple countries deploying from multiple locations in the U.S., a task that is unprecedented for the Regiment. Along with conducting missions in support of the Global War on Terrorism, they participate in ongoing training exercises in the U.S. and overseas, preparing to serve when called upon for future no-notice worldwide combat deployments. The stories of transitioning from military service or returning from deployment and adjusting to a new life are as varied as the men and women go through the experience. Key to setting these veterans on the path to success is support – from their Unit, Battalion or Regiment, family and friends along in conjunction with programs through the Department of Veterans Affairs and a wide range of organizations set up to meet the needs of veterans. To assist the exceptional Ranger leaders who are nearing their own transition from military service into the civilian workforce, the 75th Ranger Regiment regularly conducts Leadership Professional Development sessions that focus on navigating this critical milestone. On October 26, Patriot Group International (PGI) President and former Ranger Al Buford traveled to Fort Benning, GA to participate in a panel discussion with Senior Non-Commissioned Officers of the 75th Ranger Regiment. Each of the invited panelists shared a similar service path – they had served in the 75th Ranger Regiment and had, upon retiring from the military, successfully transitioned to civilian life and achieved professional success. Together with his co-panelists, Al offered the Ranger leaders in attendance an opportunity to hear his personal story and leverage the lessons learned as part of his unique transition experience. Passionate about helping veterans transition back into the civilian workforce, Al sees mentorship as the keystone to success – as does PGI. Our corporate social responsibility philosophy includes thanking those who have served, honoring the service members who gave their lives for our country, showing appreciation for the ones who are still serving and helping transitioning veterans find the professional opportunities they deserve.